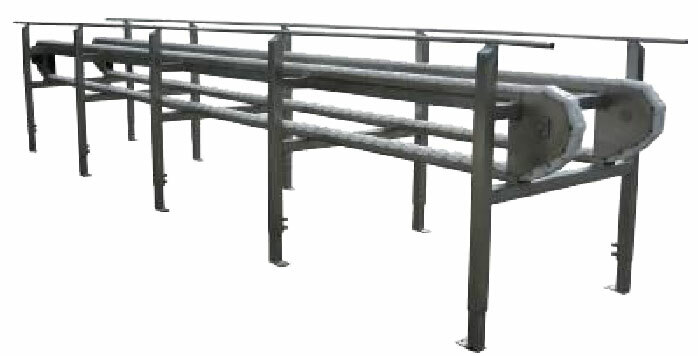 The horizontal chain conveyor is designed for transporting live bird crates (containers in which birds are delivered to the slaughtering plant). Design and operation: The conveyor is constructed of stainless, acid-resistant materials. It consists of a drive unit, a tension unit and a straight section. The transporting element is calibrated, 1" industrial link chain made of stainless steel.